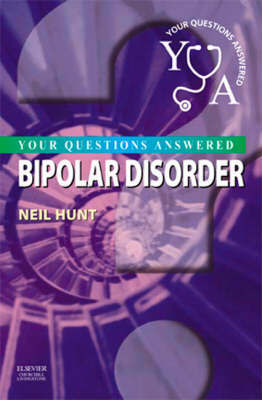 In the popular Q and A format of the "Your Questions Answered" series, this book provides succinct, expert information on bipolar disorder and its management in primary care. With an emphasis on evidence-based, up-to-date knowledge, the author discusses all aspects of this condition, including how to diagnose bipolar disorder, its impact on daily life, and current and emerging therapies to control it. Some frequently asked patient questions, in non-medical language, are included, and there is a list of sources of further information and patient support.